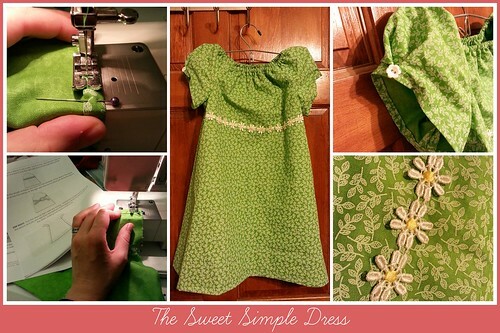 This entry was posted in Pattern Testing, photo, sewing and tagged Freshly Completed, great gift, green dress wit daisies, love this dress, pattern testing, Sew it Goes. Bookmark the permalink. I am always extremely impressed by anyone who can sew. When I was in junior high school, we had home economics for one semester. The first half of the semester was sewing; the second half was cooking. I aced cooking without even trying, but sewing–I killed myself during class and even spent time after school just to complete a simple A-line skirt with two pockets on the front. Even with the teacher’s help, the front ended up longer than the back, and one of the pockets was a bit crooked. I earned a B because I tried so hard. To this day, I don’t view someone who sews as a seamstress or a tailor. S/he is a clothing engineer. You dress turned out really cute! Thanks for your help!